What's red and white and striped all over? A Candy Cane Dragon eating its namesake, of course! This Trainer has to hide his Frost Festival candy, or risk losing it all to this peppermint fiend! 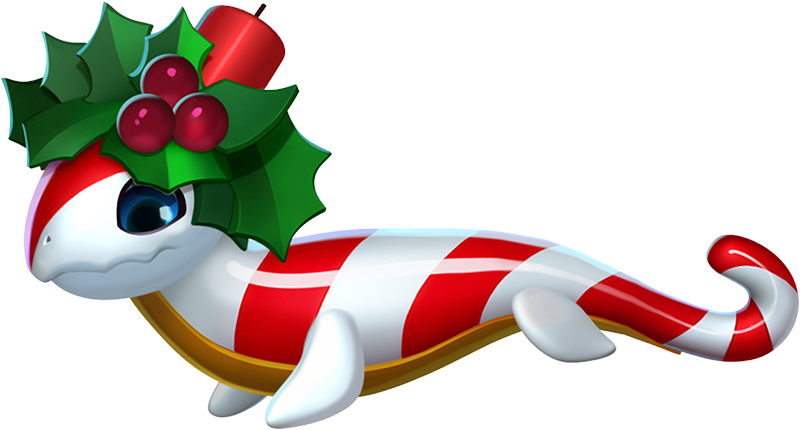 The body style of the Candy Cane Dragon is reptilian. The body has spiral red and with striping with a band of yellow running down the neck and belly. 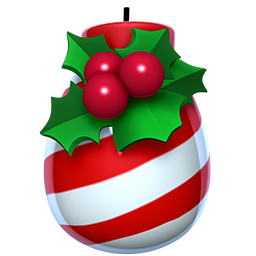 Its head features a wreath of holly, with berries, and a red pillar candle jutting from the crown of the head. 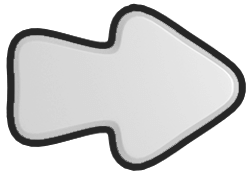 The end of the tail, instead of jutting straight out, curves up and back towards the body. 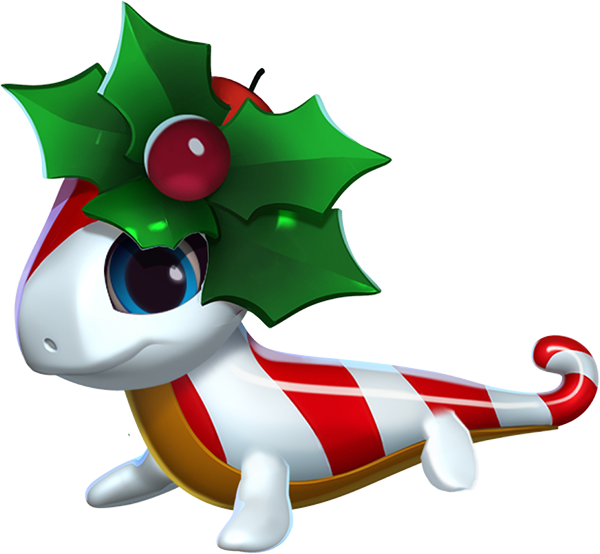 The Candy Cane Dragon is an Event-Only Dragon which can be obtained most frequently through one or more of the various events within the realm of Dragolandia. Once this Dragon is obtained and then subsequently housed on an island, duplicate eggs can be purchased through the Dragon Codex in exchange for 1,907 Gems. 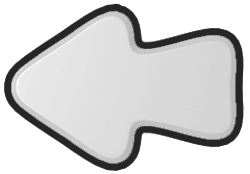 This page was last edited on 3 December 2018, at 14:32.